If you’re looking at putting them into an album, you’ll want to make sure the quality doesn’t disintegrate. With certain photos, you might find laminating them a good plan, as it keeps the quality as is. However. 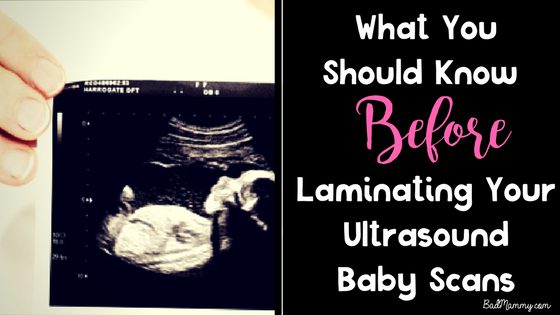 If you’re planning on laminating baby scans, STOP. The heat from the laminator will destroy the image, as it will cause it to disappear. 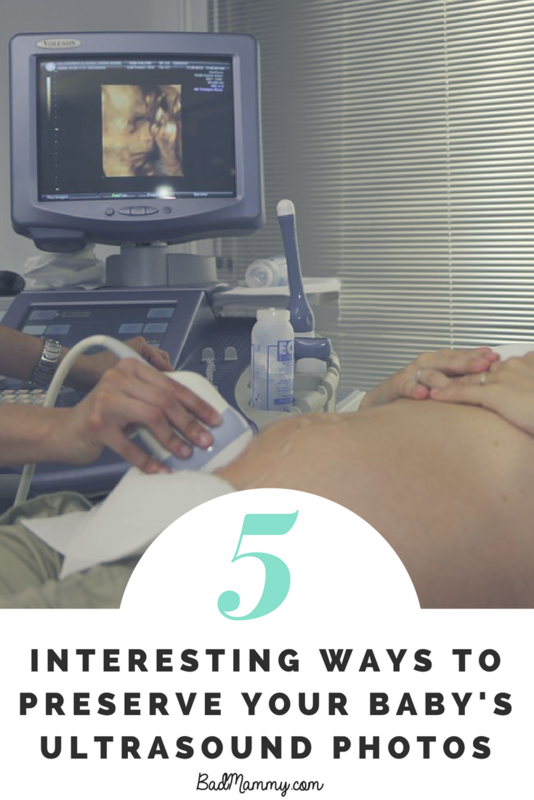 It’s best to keep ultrasound pictures out of heat of any sort, to preserve it for as long as possible. 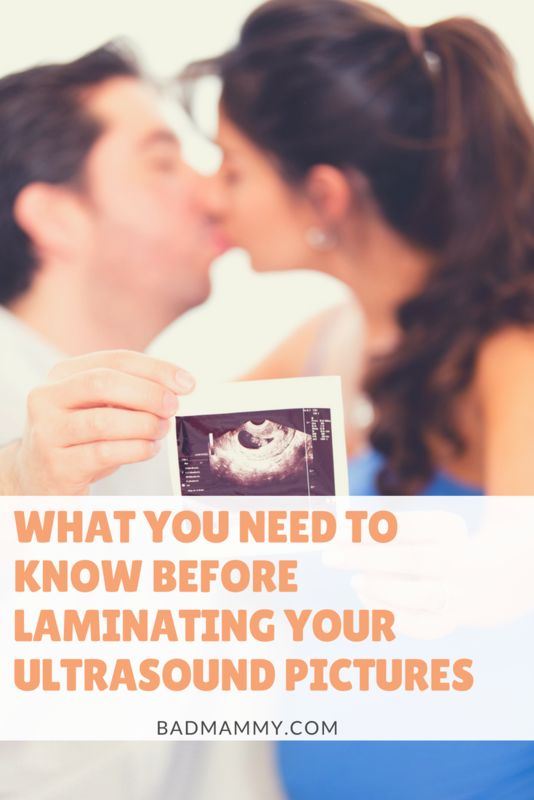 Save yourself the tears and disappointment and avoid laminating baby scans. Instead of putting the original through a laminator to ensure the quality stays good, a better idea is to scan a copy onto your computer. As it will then be photo quality, you can then laminate the scanned copy and add to your baby book, preserving the original in a cool dry area. This means you still get to display to everyone you want to show that baby book to, but ensure the original is good as new. Are you looking for some more unique ideas for what to do with those scanned copies now that you’ve got them? Here are five of the best I’ve found online. 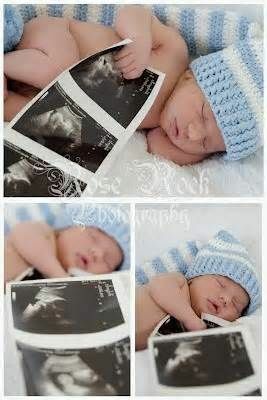 If your little one is still quite small, it could make for a rather gorgeous shot for them to hold their sonogram in their hand (especially sleeping). Probably better to not let them be at the toddler stage for the safety of the image! Check out some ideas here and here. I love these frames that I’ve been seeing everywhere for the last year, little clothesline style hanging of photos. Having spotted gorgeous displays of “the story of my baby from bump to birth”, these clip frames showing the chronology of pregnancy really appeal to me as an idea. We’ve got a special “Eliott’s first Christmas” decoration which hangs on the tree each year. 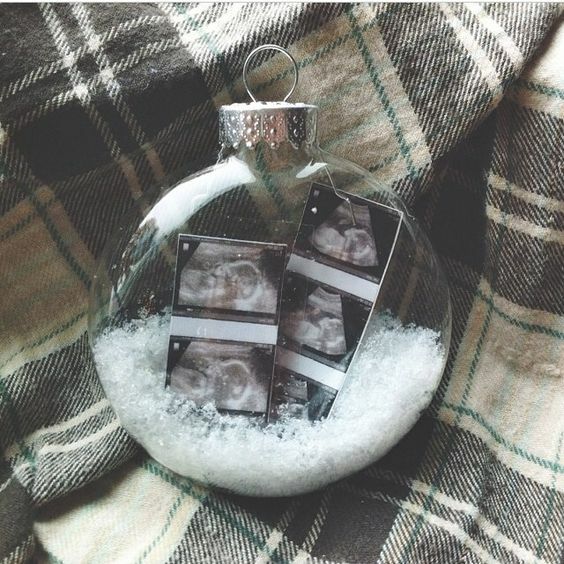 For a decoration with a personal twist, fill baubles with personal belongings like baby hospital bracelets, or copies of the ultrasound. Check out how it’s done here. If you want a more always-on-you option, this sonogram bracelet is a really lovely idea. There are lots of options available on Etsy, with options like charm bracelets, necklaces and cufflinks. Great gift ideas for new parents (Father’s Day is just around the corner). My personal favourite is the shadow box frame which can be a really nice homemade art project. 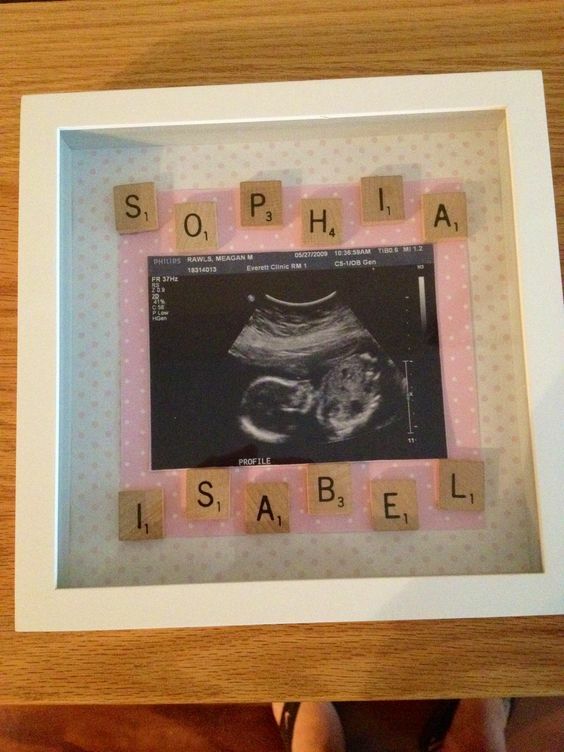 Once you’ve scanned the ultrasound, add it to the frame, and add some scrabble letters (available in most arts & crafts stores) for a really simple but beautiful personal decoration. 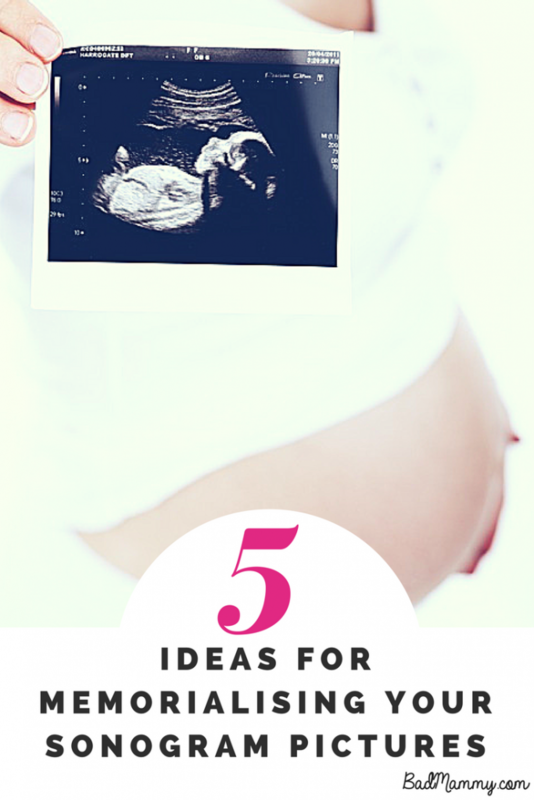 Those are just five ideas for what to do with your ultrasound pictures instead of laminating baby scans. Just make sure that the originals are kept safe! For other bits I wish I knew in the early baby days, here are my ten things I knew about the newborn days, and four lessons my toddler has taught me. What gorgeous ideas! 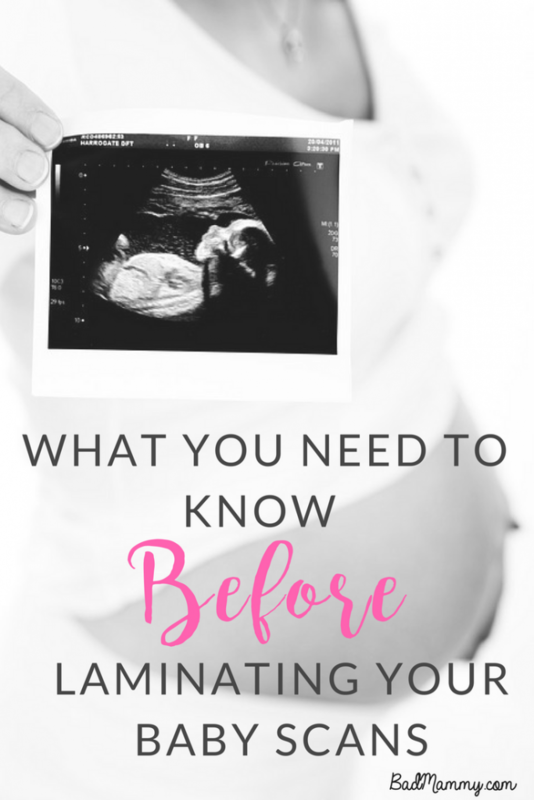 You’ve hopefully saved a lot of people heartache by making them rethink the laminator!